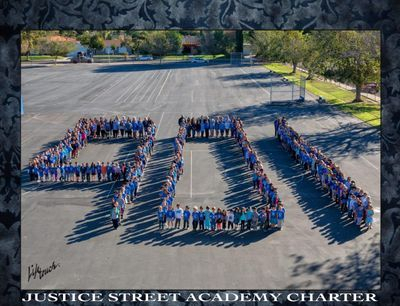 Justice Street Academy Charter School is part of LAUSD’s School for Advanced Studies program. The Schools for Advanced Studies (SAS) are programs designed throughout the District which have been implemented to improve educational options and increase professional training to support the development of gifted and talented youth. The Schools for Advanced Studies Program receives funding from the District in the form of a block grant. SAS teachers and administrators are required to participate in professional development training. For more on LAUSD’S Schools for Advanced Studies Program, click here.